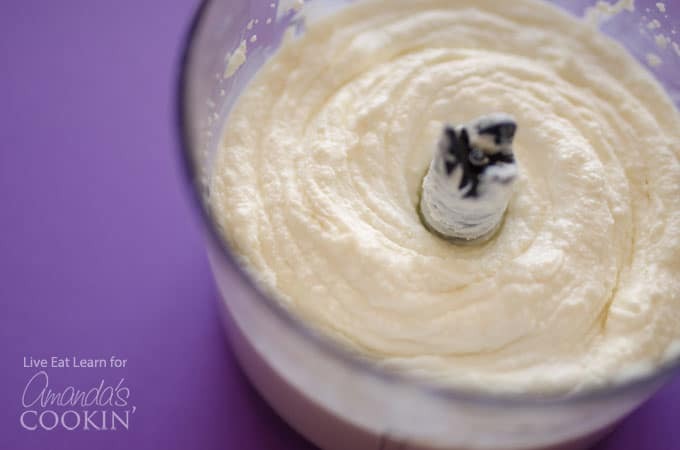 Ricotta Whipped Feta: fluffy, creamy, whipped feta spread! 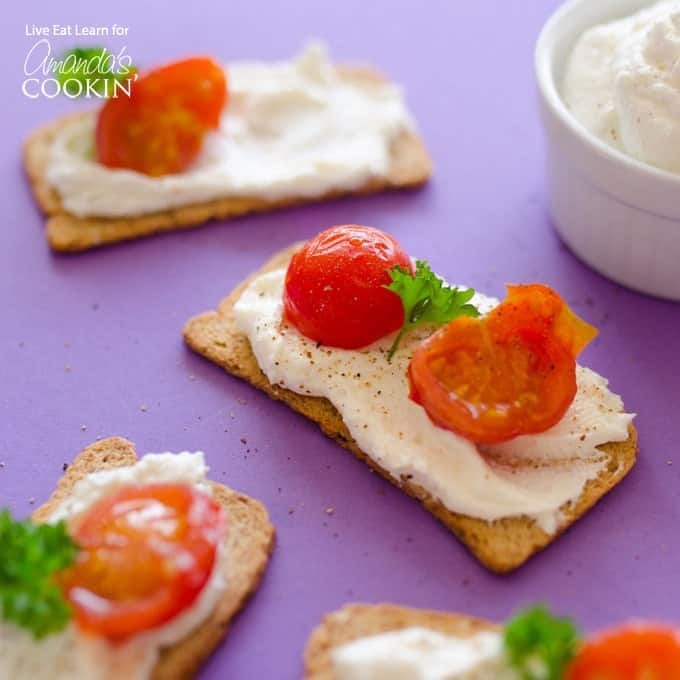 This Ricotta Whipped Feta is a delicious and spreadable way of enjoying your favorite Mediterranean cheese! With just two ingredients, it’s a simple recipe that can be used for spreading onto sandwiches, toast, pizza…you name it. WOW, your guests with this whipped feta spread or this creamy Hot Spinach Dip at your next BBQ or potluck this summer! There have been a few notable discovering in my culinary career, to include the pure magic that is romesco sauce, the ability to turn any green into pesto, and the protein-fueled kitchen hack of using almonds as a breading. 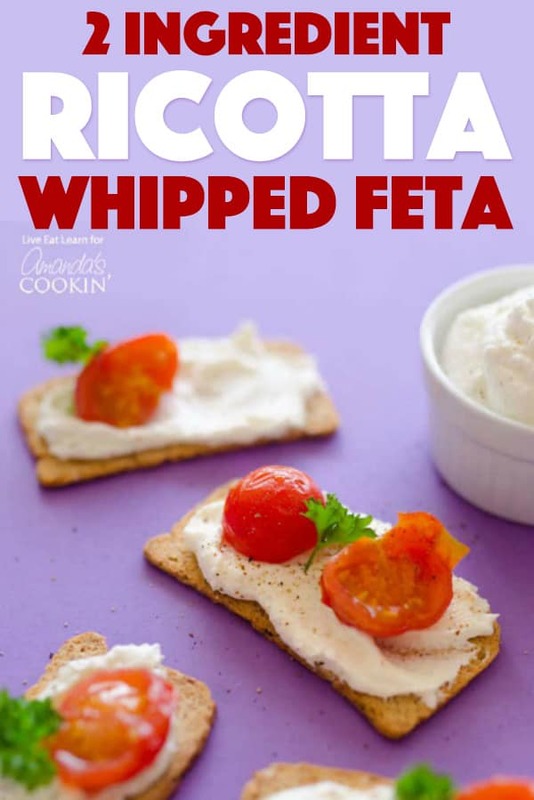 And I recently stumbled across another notable discovery…ricotta whipped feta! If you like feta, you’re going to love it in fluffy, creamy, whipped form. Looking for a tasty savory spread? Try this mouth-watering Garlic Spread. 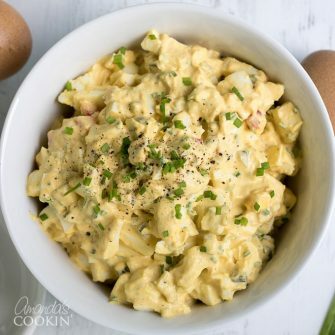 It makes a perfect appetizer for any occasion, or alongside your dinner. This recipe makes enough for two whole French baguettes, so store the remainder in the fridge for up to a week or put in the freezer for up to 3 months! Looking for another side to bring along to a potluck or party this summer? Pair this ricotta whipped feta spread with another delicious companion, Healthy Guacamole. This healthy guacamole is packed with a secret ingredient, making your beloved guacamole that much healthier! What’s the secret ingredient you ask? Spinach. It’s stuffed with a whole serving of veggies, making your favorite dip one that can be reckoned with. Making this game-changing spread is so easy. You’ll essentially just whip together ricotta and feta cheese until smooth and creamy. That’s it, really. The whipped ricotta brings rich smoothness, while the whipped feta brings its distinctively delicious tangy flavor. The result? 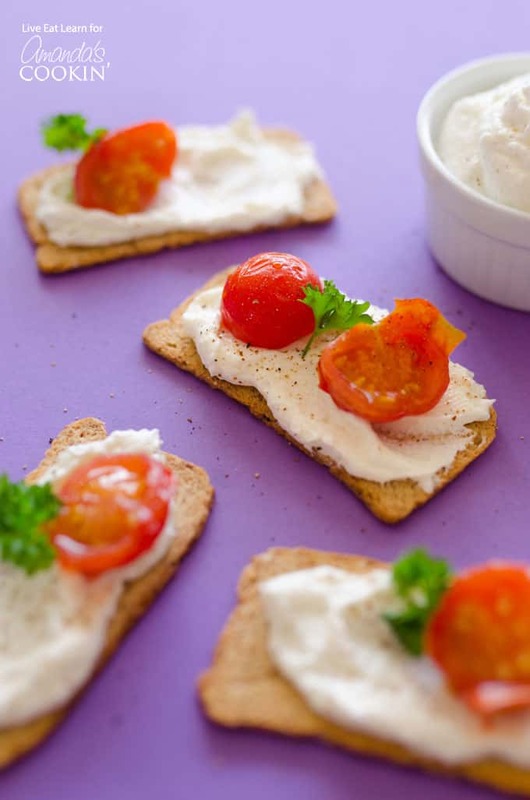 A cheese spread that goes well on virtually everything. I slather it onto eggs and sandwiches, use it as a base to pizza, and use it as a pita chip dip. 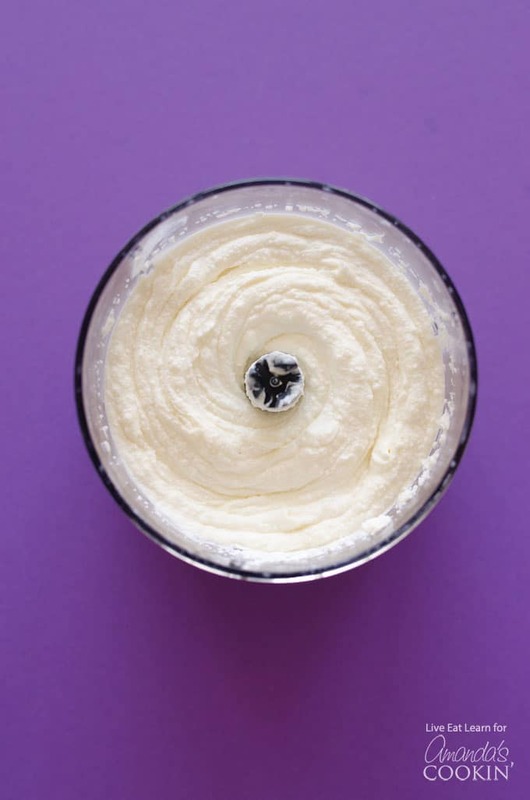 The possibilities are endless for this ricotta whipped feta, Y’all. We love bringing this ricotta whipped feta along to BBQ’s, gatherings, work parties and potlucks alongside some delicious Bruschetta which everyone goes crazy for! Another favorite ricotta dish around here is this Ricotta Cheesecake Recipe. Have you ever made a ricotta cheesecake? The outcome is a fluffier, less dense cheesecake that will actually have your guests thinking of having seconds due to not using ultra-rich cream cheese. This Ricotta Whipped Feta is a delicious and spreadable way of enjoying your favorite Mediterranean cheese! With just two ingredients, it’s a simple recipe that can be used for spreading onto sandwiches, toast, pizza...you name it. Add feta and ricotta to a food processor. Blitz until smooth and fluffy (a minute or two).